People carriers, MPVs, SUVs… however you label your everyday family wagon, it isn’t exactly the most scintillating genre of automobile. 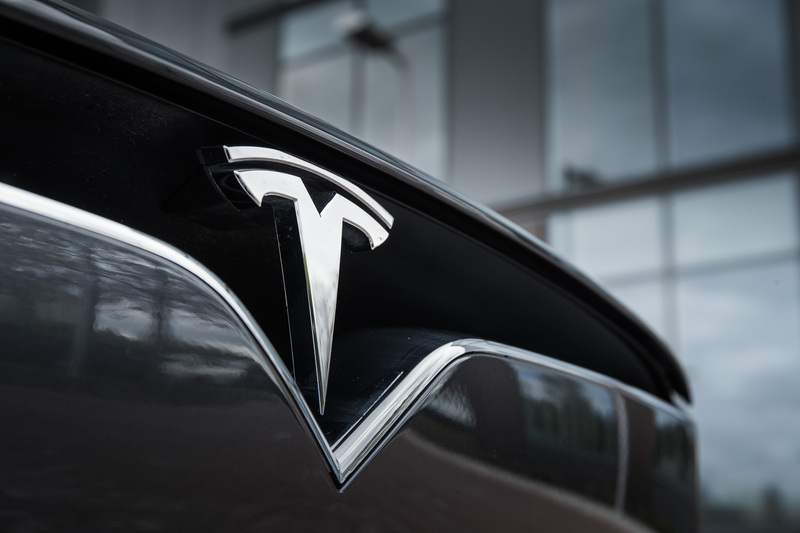 But Elon Musk, Tesla overlord and space explorer extraordinaire, has decided to inject some much-needed desirability into this market with his all-electric, seven seat, ‘Falcon Wing’-doored Model X. If Luke Skywalker was a father of three and held down a job in accounting, this would be his school-run machine of choice. Why? Because it is based on the Model S hatchback, meaning the Model X is driven by the same battery and electric motor propulsion system as the groundbreaking saloon, so customers can specify their futuristic SUVs in a number of power outputs. 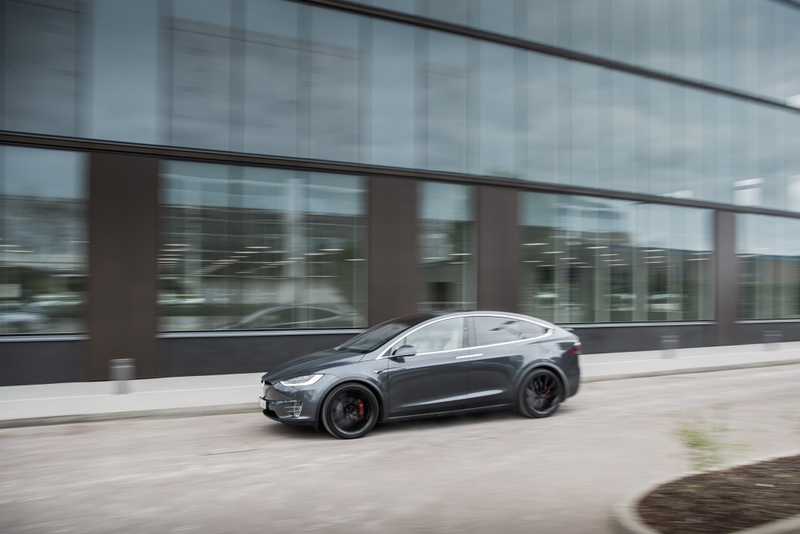 That means that in the range-topping 100D models, as driven here, families are able to complete the 0-60mph sprint in 2.9 seconds. We’ll give you a moment to digest that. It’s an utterly bonkers proposition, yet this green machine manages to cruise the roads for a claimed 351-miles between charges, depending on the model and various other external factors. Handling is pretty good for a seven-seat SUV, although the steering is a bit vague and the ride can get bumpy over Britain’s terrible roads. And the gut-busting acceleration away from the lights is hilarious. But rather than get bogged down in dynamics, let us instead marvel at the seven-seat set-up, in which the middle two chairs are anchored to stylish ‘monopod’ fixings that allows them to not only slide forwards, but also tilt to allow for much easier clambering in and out of the third and final row. 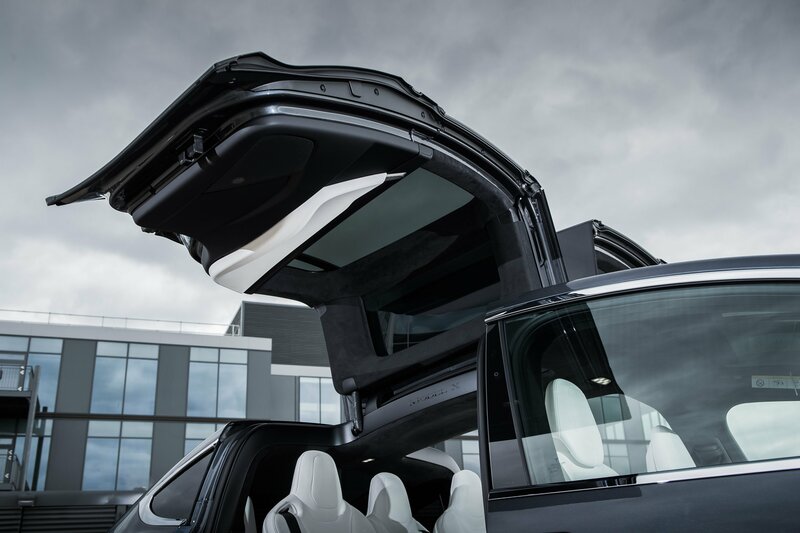 And then there’s the fabled ‘Falcon Wing’ doors, which feature an innovative hydraulic double hinge system that allows them to open in a variety of ways to suit the situation. They are also decked out in a plethora of sensors, meaning they know if some buffoon has parked obnoxiously close. 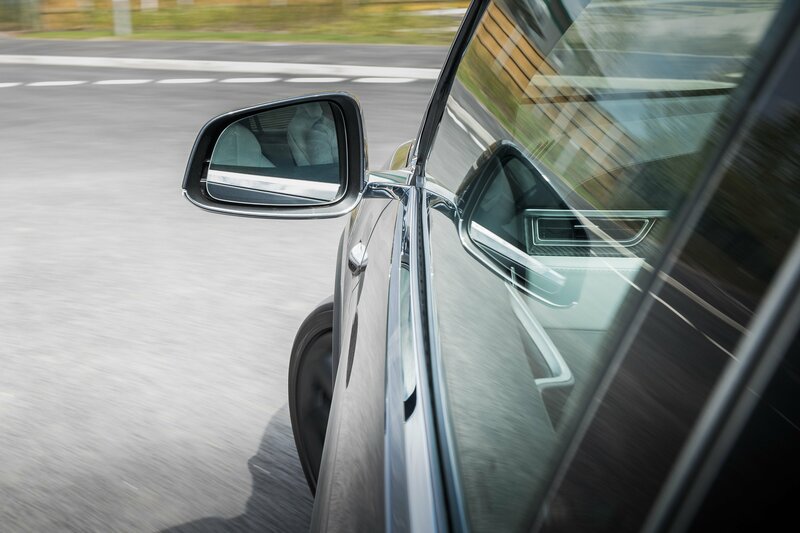 In this scenario, the doors will first rise up – to clear the adjacent BMW (of course it’s a BMW) – and then outwards when clear space is sensed. 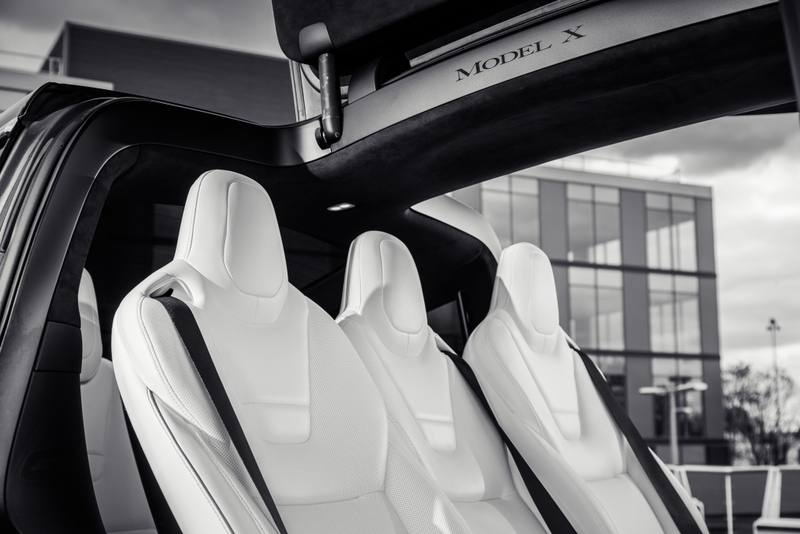 Similarly, if the car park has a low ceiling but there’s room either side of the Model X, the doors will first swing wide and then travel upwards, allowing for the easiest entry and exit. It’s a fascinating system that attracts a crowd every time they are operated but it does feel overly fussy once the novelty has worn off. Call me old-fashioned but there’s something to be said for simply pulling a handle and swinging a door open to exit a car, rather than prodding buttons and waiting for the theatrics to finish. This also neatly brings me on to the subject of build quality, which is mostly excellent throughout the Model X, but there are a few points that make little sense. For example, the seat backs in the model I drove were covered in a brilliantly Sci-Fi glossy plastic, which look as if they has been pinched from the set of Star Trek but will scuff and scratch at the mere whiff of a child’s shoe. And, apologies for getting all WhatCar? on you, but rear visibility is terrible. 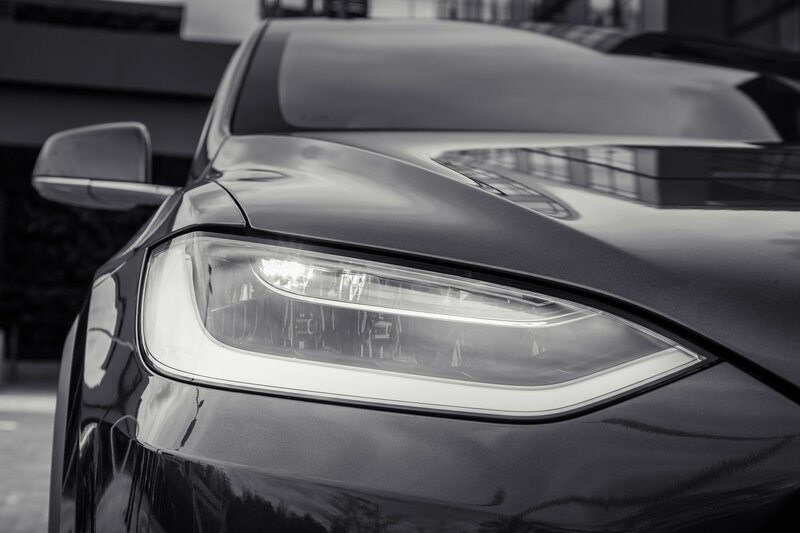 It forces the driver to rely solely on the high-definition reversing cameras and hyper-cool tablet-esque touch-screen display when performing any sort of reverse parking manoeuvre. Plus, the exterior styling is questionable. 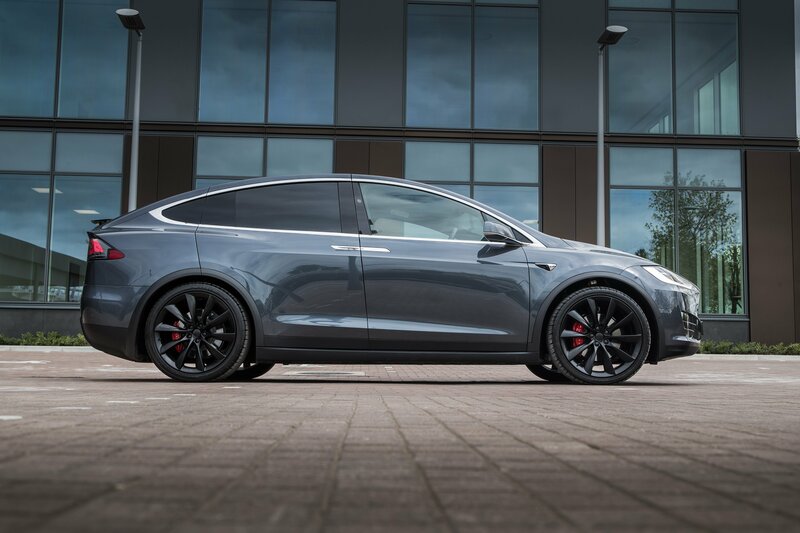 Where the Model S is a sleek saloon that can hold its own among its premium German rivals, the Model X just looks odd from the outside. That said, the aforementioned infotainment system is intoxicatingly brilliant and has all of the user-friendliness of an Apple product. 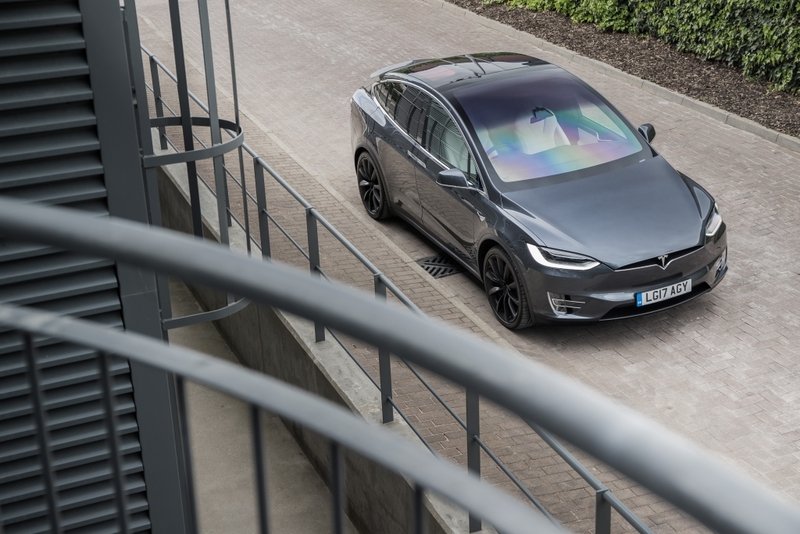 Plus, the high-res screens are razor sharp and all new Teslas come equipped with a free Spotify Premium account for accessing top entertainment on the move. Navigation is taken care of by Google, which is probably the best thing to happen to a modern car since the seat belt, as inputting a destination is as simple as dropping a pin, while calling up further information on said destination (opening hours etc.) is as fuss-free as prodding the screen with a greasy digit. 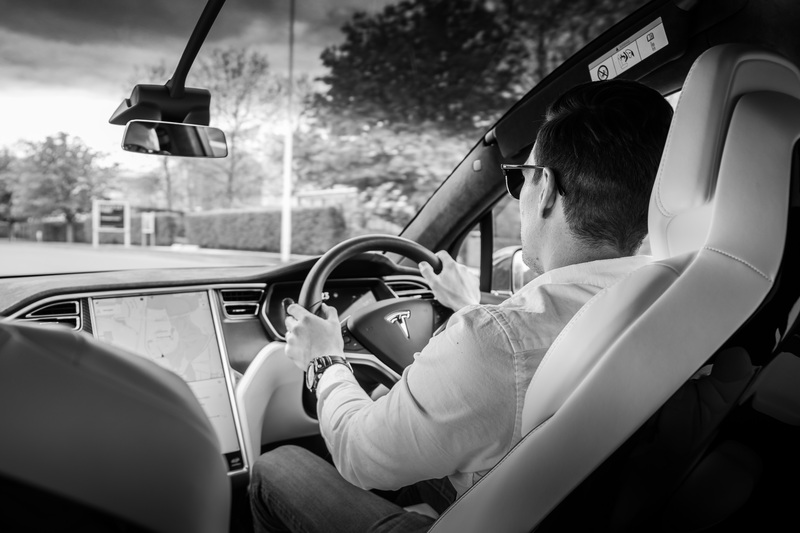 The system will even plot a route with battery top-up stops included and charging time factored in. 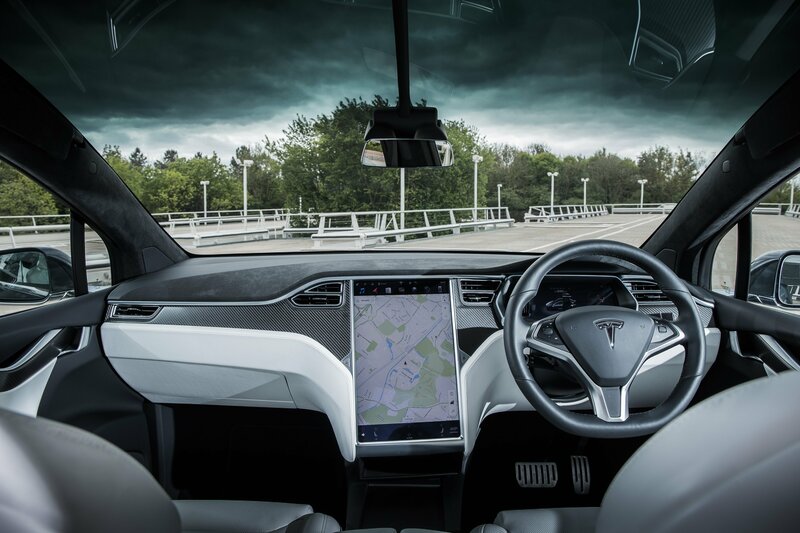 There’s also a brilliant panoramic windscreen, which gives the Model X an unrivalled sense of roominess for those travelling onboard. Plus, there’s plenty of USB slots and charging points throughout the cabin for brimming devices. 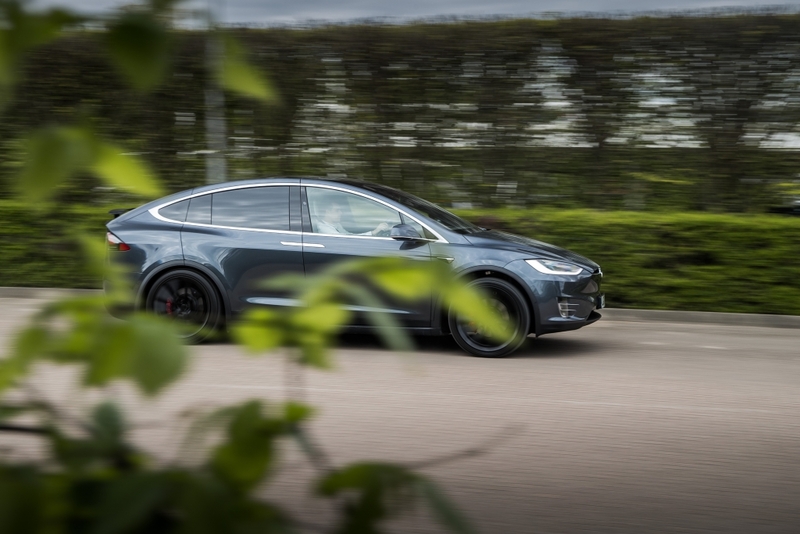 Without question, it is a technological tour de force, and one that costs pennies to run on a daily basis, but there’s no getting away from the £80,400 asking price of the most basic Model X. 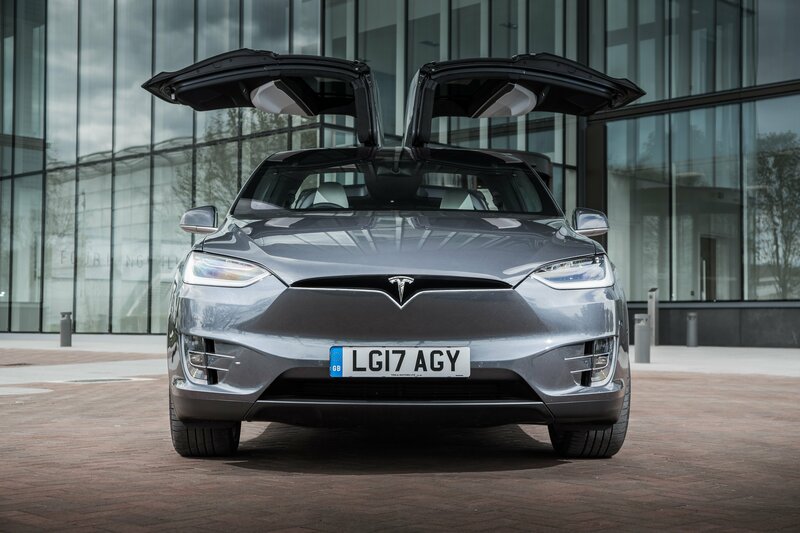 The Model X P100D we drove costs a staggering £129,200, which is borderline mental. Yes, it’s phenomenally fast. Yes, the ‘Falcon Wing’ doors are really cool. Yes, it’s quite good fun to drive. Yes, that massive iPad in the middle of the dash is really handy. But is it really worth five Seat Alhambras? We’ll let you decide. But, no. No it isn’t.